Proper name capitalization in sign text to Bizuzu's Treasure Room (pup_land/rainbow/Lv1/t_room) in Pup Land. No functional changes. Proper name capitalization in sign text to Orc Farm (pup_land/rainbow/Lv1/orc_f) in Pup Land. No functional changes. Wording and punctuation update in message text to Hut (pup_land/rainbow/Lv1/hut4) in Pup Land. No functional changes. Wording update (captured -> locked up) in message text to Hut (pup_land/rainbow/Lv1/hut2) in Pup Land. No functional changes. Wording update (has been lost -> was lost) in message text to G Road (pup_land/rainbow/Lv1/g_road) in Pup Land. No functional changes. Word spacing corrections in message text to Hut (pup_land/rainbow/Lv1/hut4) in Pup Land. Word spacing corrections in message text to Hut (pup_land/rainbow/Lv1/hut3) in Pup Land. Word spacing corrections in message text to Hut (pup_land/rainbow/Lv1/hut2) in Pup Land. Word spacing corrections in message text to Hut (pup_land/rainbow/Lv1/hut) in Pup Land. Word spacing corrections in message text to G Road (pup_land/rainbow/Lv1/g_road) in Pup Land. Removed forced line break and word spacing corrections in message text to Bizuzu (pup_land/rainbow/Lv1/Bizuzu) in Pup Land. Removed line breaks in message text to Bizuzu's Treasure Room in Pup Land. Removed line breaks in message text to Hut (pup_land/rainbow/Lv1/hut_4) in Pup Land. Removed line breaks in message text to Hut (pup_land/rainbow/Lv1/hut_3) in Pup Land. 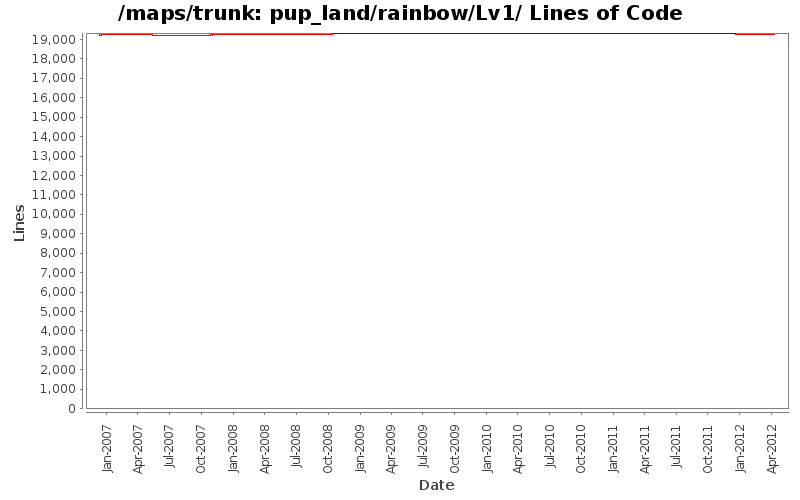 Removed line breaks in message text to Hut (pup_land/rainbow/Lv1/hut_2) in Pup Land. Removed line breaks in message text to Hut (pup_land/rainbow/Lv1/hut_1) in Pup Land. Removed line breaks in message text to G Road (pup_land/rainbow/Lv1/g_road) in Pup Land. Removed line breaks in message text to G Boss (pup_land/rainbow/Lv1/g_boss) in Pup Land. Removed line breaks in message text to Entrance Hall, Level 1 (pup_land/rainbow/Lv1/e_hall) in Pup Land. Removed line breaks in message text to D Pass (pup_land/rainbow/Lv1/d_pass) in Pup Land. Removed line breaks in message text to CD Room (pup_land/rainbow/Lv1/cd_room) in Pup Land. Removed line breaks in message text to Cage (pup_land/rainbow/Lv1/cage) in Pup Land. Cosmetic change to Bizuzu in Pup Land. Added another fence (swall) section for nicer merging with nearby wall. Fix broken map in rainbow quest: Players got stuck in cage map due to arch on target having move_block all.